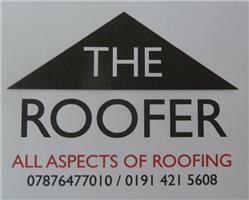 The Roofer - Fascia/Soffits/Guttering, Roofer based in Whickham, Tyne and Wear. The Roofer owned by Phil Thompson is based in Gateshead. We provide friendly, professional and quality service across the entire North East. Phil has over 20 years roofing experience and all tradesman are NVQ level 2 trained or above. The Roofer aims to ensure that each and every customer is completely satisfied with the standard of work and the service they receive. All of our customers are continuously informed throughout the working process so that they are completely aware of what is going on at their home. The roofer gives free estimates or general roofing advice. All work comes with a 12 year guarantee. All jobs are left clean and debris free. Give Phil a call and he can give a free, timely no obligation quote. Any area within the North East of England.